This is the Art Bead Scene's inspiration for the April Monthly Challenge. 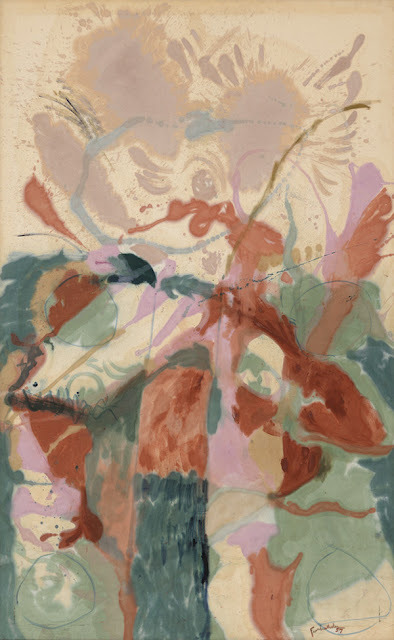 It's an amazing painting by Helen Frankenthaler titled Jacob's Ladder. I love this color palette so much! I pulled together some inspiration kits with beads that reflect the painting. You can find them in my Humblebeads VIP Party group here.